Costco's sales increased 10.8 percent, and profit was up 36 percent, helped by the recent tax cuts. Without the tax benefit, Costco's profit came in below analyst expectations. Many retailers have announced plans to spend their tax-cut windfalls on one-time employee bonuses or more enduring wage increases. 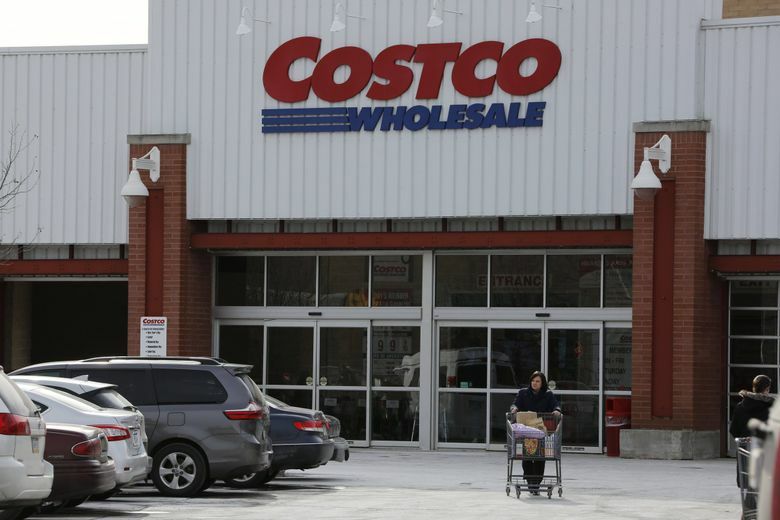 As retail pay is boosted, Costco intends to keep compensation for its more than 239,000 workers ahead of the pack, executives said Wednesday as the company reported its quarterly results. Costco’s tax benefit in its fiscal second quarter was $74 million or 17 cents a share. That helped the Issaquah-based retailer post $701 million in profit, $1.59 a share, and beat Wall Street analysts’ expectations. Costco sales and membership fees were up 10.8 percent to $33 billion in the quarter, which ended Feb. 18 and included most of the holiday shopping season. The company’s effective tax rate for its fiscal second quarter, which straddled the calendar year, was 27.7 percent, said chief financial officer Richard Galanti in a conference call Wednesday afternoon. That’s down from 35.6 percent during the same quarter of its 2017 fiscal year. The company plans to invest the tax savings in its employees, lowering prices, and other activities that he said will attract more customers and increase sales volumes, ultimately translating to greater profits. He provided few details of what Costco employees could expect, but said it would not be a one-time bonus. The timing of the benefit would be “in the next two months,” he added. Costco competitors including Walmart and Target have pledged to increase wages. Target said earlier this week it will raise the bottom of its hourly wage scale from $11 to $12 this spring. In January, Walmart, with more than a million hourly workers in the U.S., announced starting wages would be boosted to $11, and employees would receive one-time bonuses ranging from $200 to $1,000. “We always want to maintain a significant [wage] premium overall,” Galanti said. But, he added, the company is focused on more than just the headline number of starting wages, or one-time bonuses. Costco employees, 90 percent of whom are paid hourly, make on average about $22.50 an hour, Galanti said. Both full- and part-time employees have access to medical, dental, and vision insurance at a cost of more than $10,000 a year, 90 percent of which the company pays. Galanti added that Costco already planned to boost employee compensation prior to passage of the tax cuts. With the tax overhaul, “We’re going to do a little more because we can,” he said. E-commerce opportunity. Galanti said e-commerce sales were up 29 percent to $1.5 billion in the quarter. Costco has lots of room to grow its e-commerce sales, in large part because it has been an underdeveloped part of the business until relatively recently. For example, the company had valid e-mail addresses for fewer than half of its members. Recent campaigns in which it exchanged $2 discounts on muffins for updated contact information yielded millions of addresses, Galanti said. It uses those e-mails to attract customers to both its website and back to stores, where they spend more per trip, Galanti said. It is also continuing to invest in its product search, checkout, and return processes, and in infrastructure such as dedicated e-commerce fulfillment centers. “There’s a lot of low-hanging fruit there because there’s a lot of things we haven’t done in the past,” he said. Membership. Costco took in $716 million in membership fees in the quarter – more than its bottom line profit — up 12.6 percent from the year-earlier period. A little less than half of the increase was due to a price hike implemented last June in the U.S. and Canada. Renewal rates improved slightly to 90.1 percent in the U.S. and Canada, and 87.3 percent worldwide. The company counts 92.2 million members. Galanti said Costco has seen a small boost in sales and membership from people who used to shop at Sam’s Club, the Walmart membership retail outlet that closed 63 locations in January. New stores. Costco only opened one store during the quarter, but it’s on track to have as many as 23 net new locations by the end of the 2018 fiscal year. Across the company, sales at stores open a year or more increased 8.4 percent compared to the same quarter last year. Costco has 749 warehouse stores in 11 countries. It also recently opened a second meat processing plant, in the Midwest, and is building a chicken plant in Nebraska. Benjamin Romano: 206-652-6593 or bromano@seattletimes.com; on Twitter: @bromano.